NOTICE: All #3's are now shipping in the 2 piece style. 100% compatible!! In our book the #3 is underrated. Why? Many items you might put into a #1 fit in a #3 and using more #3's is even more space saving than the #1. 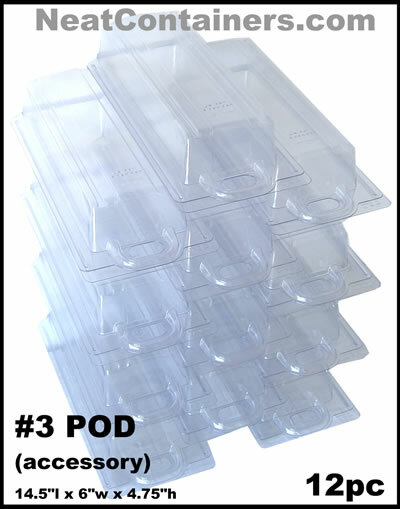 How many uses can you find for these pods? THIS PRICE IS FOR ONE PIECE. Photos may show more than one. 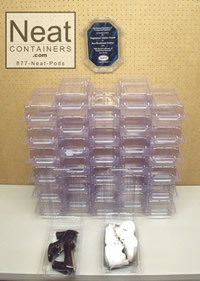 See our add-ons and kits if you are looking for 6 or more of this item.